Drawing on examples garnered from experience as a leader on the world stage, Powell will illustrate precisely what it takes to be a leader, providing strategies for “taking charge” during times of great change and great crisis. Leaders come from all walks of life, but the most essential qualities of leadership are universal. That’s the theme behind the ninth annual Refresh Leadership Simulcast. This year’s speakers will share their insights and experience on what makes great leaders. This is an inspirational learning and networking event you won’t want to miss. 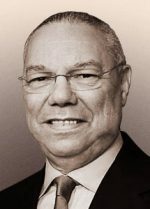 A man of intelligence, versatility, and presence, General Colin Powell served as the first African-American chairman of the Joint Chiefs of Staff and was appointed Secretary of State by President George W. Bush—becoming, at that time, the most powerful African-American ever to hold office in the U.S.
A four-star general, Powell’s numerous awards include two Presidential Medals of Freedom, and he is the author of his best-selling autobiography, “My American Journey.” His second book, an instant New York Times bestseller titled, “It Worked for Me,” reveals the lessons that shaped his life and career. As someone who crafted and articulated the U.S. position on the world stage, Powell provides insight on efforts to stabilize a troubled world and the diplomatic and leadership skills needed to transform unstable regions into areas where societies and cultures flourish. Joining Gen. Colin L. Powell, USA (Ret.) 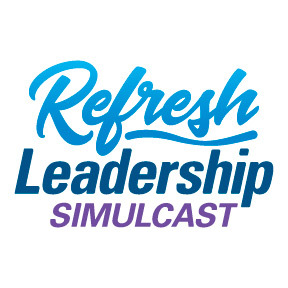 on stage for the Refresh Leadership Simulcast will be Mark King, innovation expert and former president of adidas North America, and author, speaker, and Paralympian Josh Sundquist. For more information and to register for an event near you, visit RefreshLeadership.com/Simulcast. The link you provided to register for this simulcast for Gen. Colin Powell does not work. I just clicked on it and it gave me an error message that reads: “404 – File or directory not found.